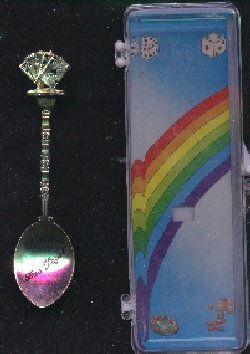 (682) Las Vegas - In Case- Condition: Good This souvenir spoon has a poker hand of 5 cards at the top. The hand shows a straight, ace high. Las Vegas is written in the bowl. It is in its original case...but the bowl has some scratches. The spoon measures 4 1/8"". Price: $3.50 + shipping.